Amanohashidate is a three-kilometer long sandbar that spans the mouth of Miyazu Bay in Northern Kyoto. Narrow and covered in pine trees, it’s a breathtaking sight when viewed from the mountains on either side of the bay. 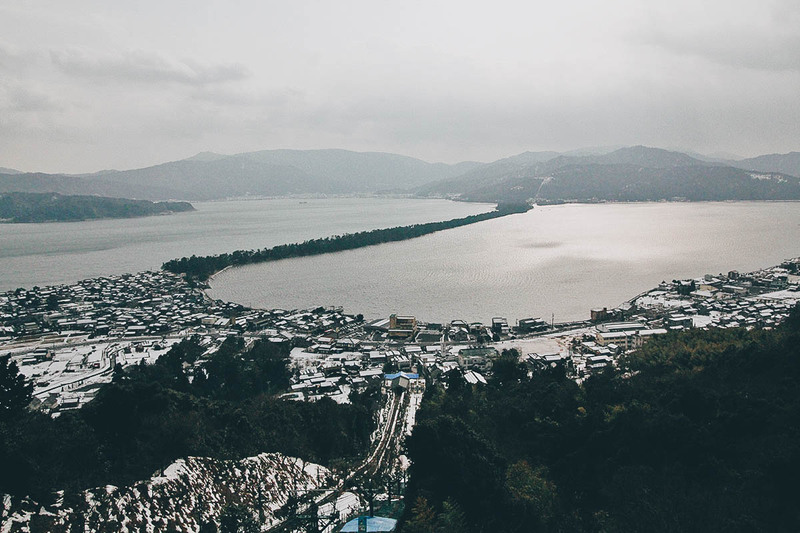 So picturesque is Amanohashidate that it’s considered one of Japan’s three most scenic views together with Miyajima and Matsushima. 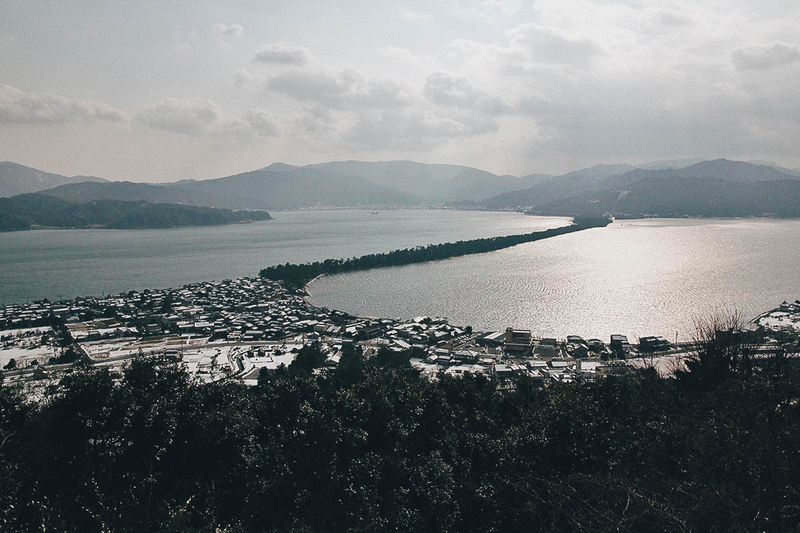 To be honest, I had never heard of Amanohashidate (or the other two) before this FAM trip. 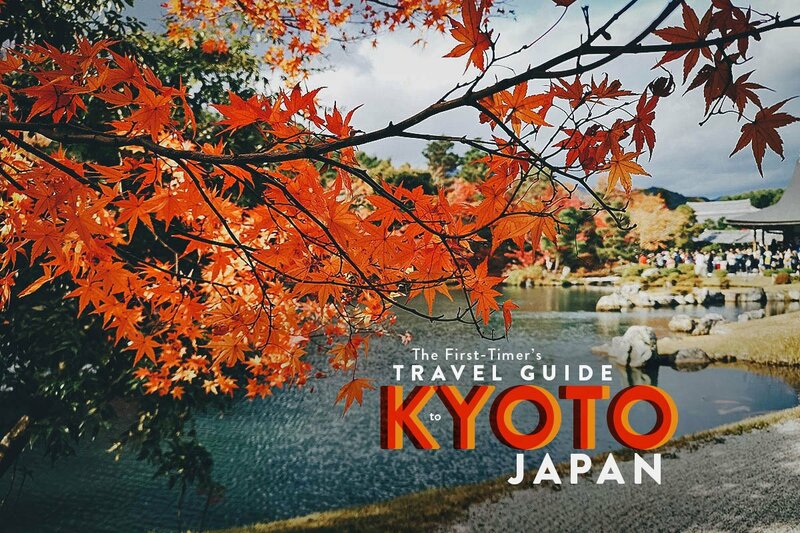 I love Japan but we’ve only begun to explore it so we’re still drawn to the usual destinations like Osaka, Tokyo, and Sapporo. Never did I think I would see a pine-covered sandbar in Japan, and right in the middle of winter too! Sushi and tech usually come to mind when I think of this country. But thanks to Cebu Pacific Airlines and JR West, I got to experience a different side of it today. 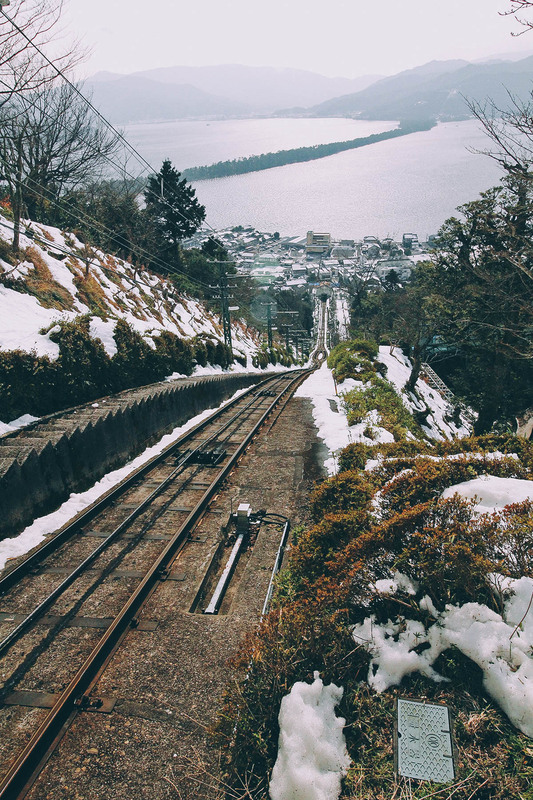 About a 2-hour train ride from Kyoto, Amanohashidate is best appreciated from higher up and you can do that from either side of the bay. 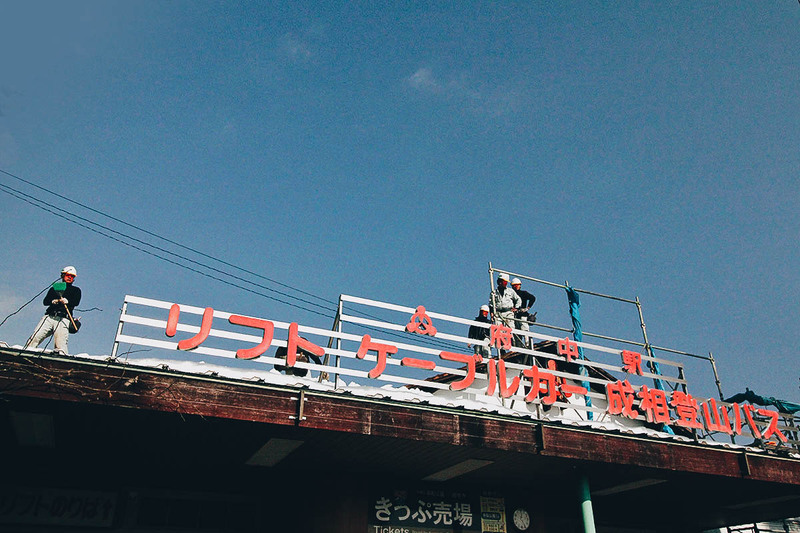 On the same side as where you’ll be arriving is Amanohashidate View Land. We didn’t go there. 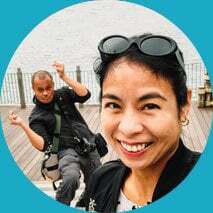 Instead, we took a short ferry ride to the other side of the bay so we could get a view from the top of Kasamatsu Park. 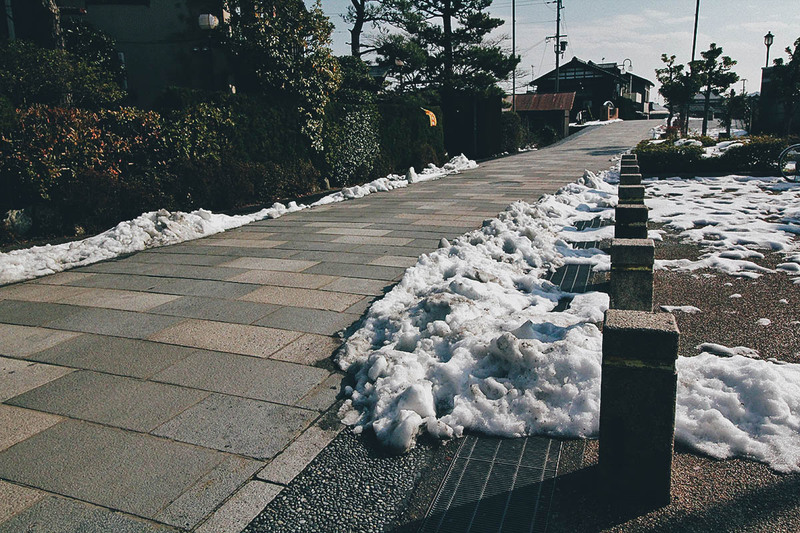 It was the middle of January so snow was still all around. On the way to the cable car station is Motoise Kono Shrine. 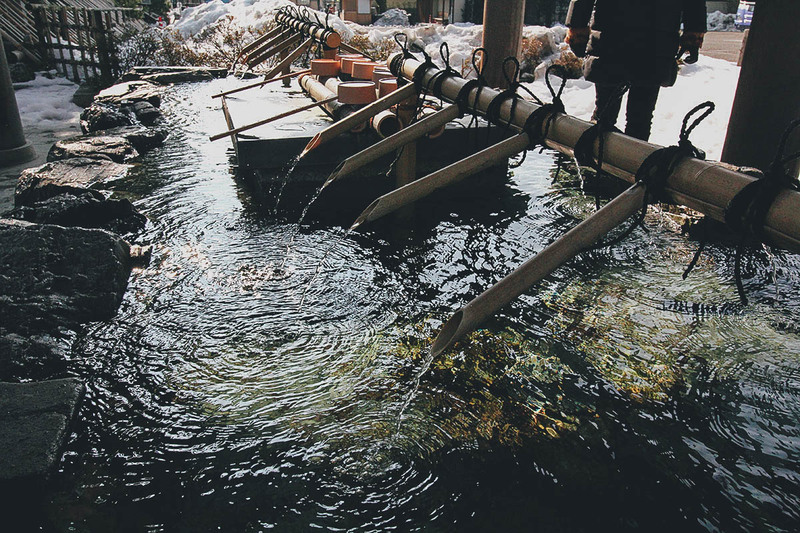 It’s customary to pour water over your hands to purify them before entering the shrine. 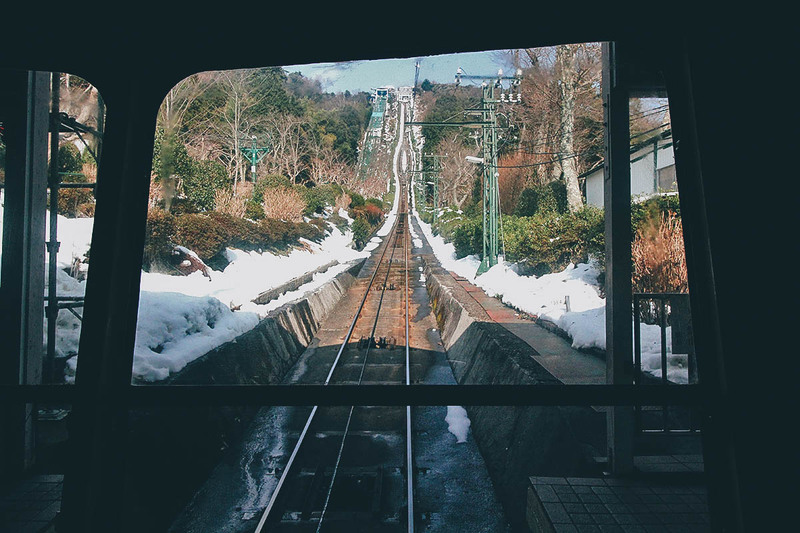 Here’s the cable car or funicular that takes you up to the top of Kasamatsu Park. There’s an option to go up via chairlifts as well but they’re closed during winter. View from inside the cable car. On top of the world ma! The sandbar is already looking much better from up here. Before we could take pictures from the viewing platforms, we stopped for lunch at the park’s Ama Dining viewpoint restaurant. 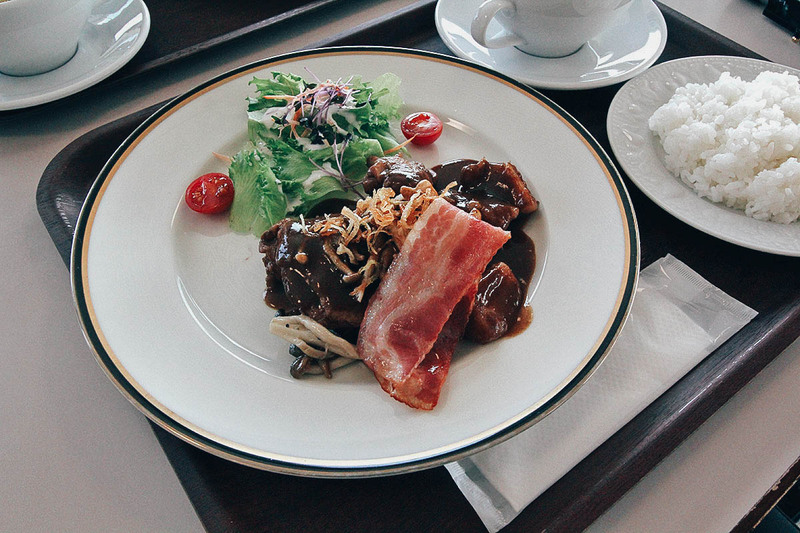 They served us this delicious meat curry dish with bacon and salad. 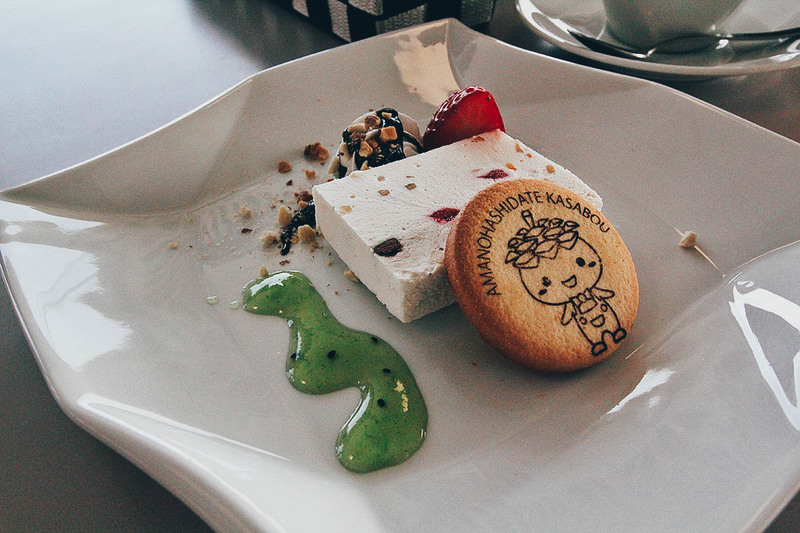 For dessert, they gave us this frozen fruit-salad-like block with a cute Amanohashidate Kasabou cookie. Our guide explained that Kasabou is Kasamatsu Park’s mascot and is meant to resemble a pine cone. There’s Amanohashidate sandbar from the main viewing platform. Pretty isn’t it? They didn’t tell us at the time but the Japanese like viewing the sandbar “Matanozoki” style. They do this by having their backs to the sandbar and bending over forward to view it upside down through their legs. 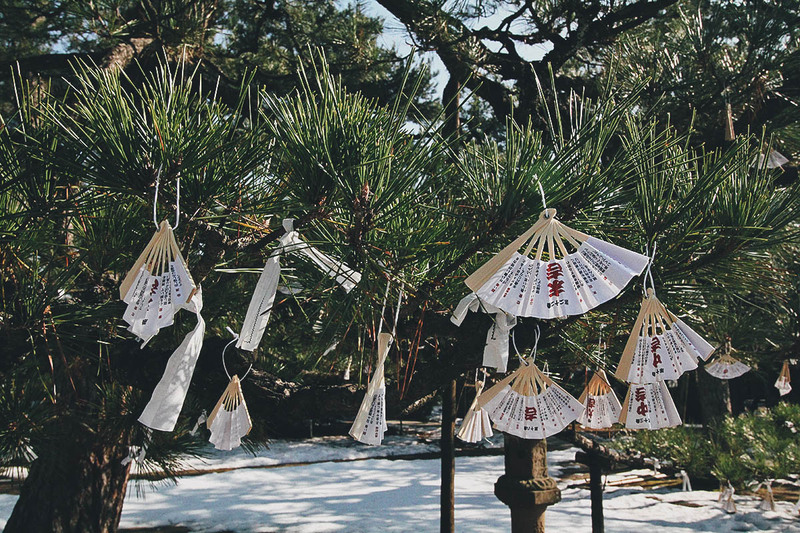 This practice originated here at Kasamatsu Park and the Japanese have been doing it for over a millennium. Viewing it upside down like that is said to make the sandbar look like it’s connecting heaven and earth. It’s a good way of looking at it since the name Amanohashidate roughly translates to “bridge in heaven”. If you aren’t limber enough to do Matanozoki style, then you can get view it from telescopes for JPY 100. Here’s a picture I took using the telescope and my iPhone. 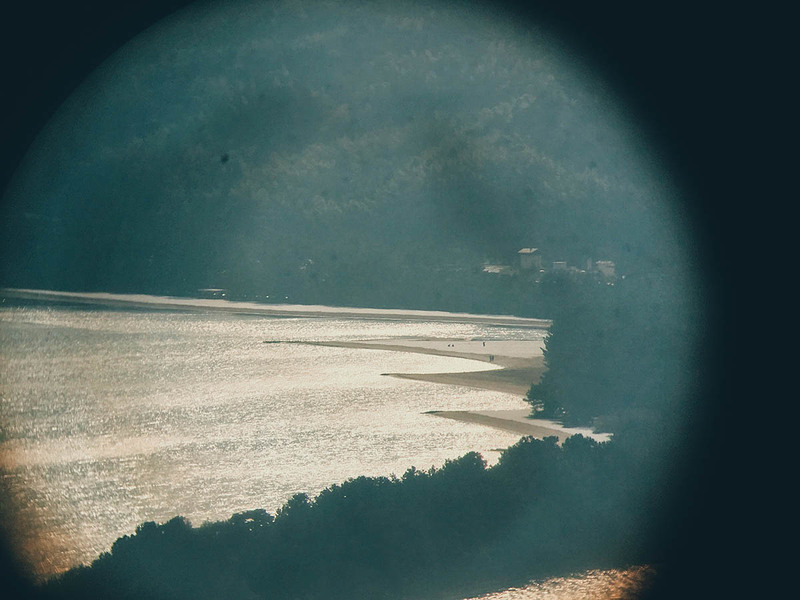 I could see people walking around on the beach. 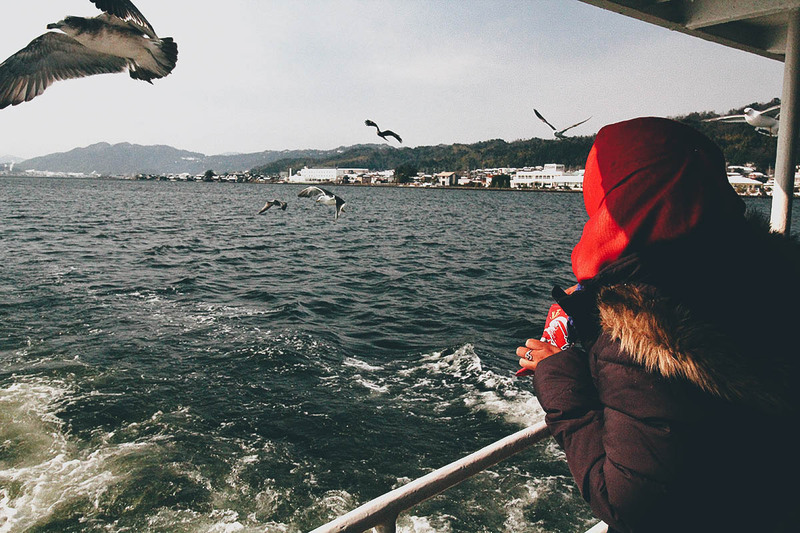 Amanohashidate is a comfortable 2-hour train ride from Kyoto or Osaka so it makes for a good day trip from either city. If you’re the slow-traveling type, then you may even consider spending a night in the area. It’s a picturesque town that invites curious meandering. There are a few shops and shrines and you can rent bicycles to ride along the sandbar. If you prefer to walk, then you can go from one end to the other in a leisurely 45 minutes. 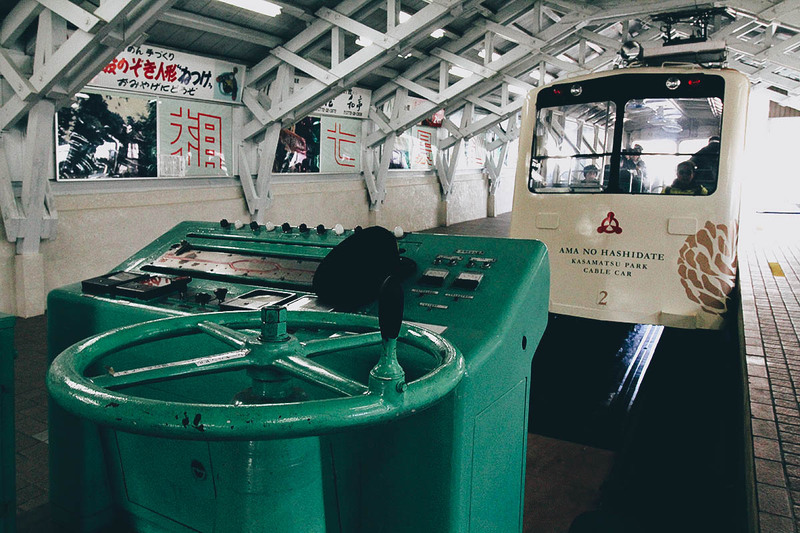 The fastest way to get to Amanohashidate from Kyoto is by JR Train. Option 1: Take the JR Kinosaki Limited Express from Kyoto to Fukuchiyama (75 mins, about JPY 2,460, hourly departures). From Fukuchiyama, change to the Kyoto Tango Railway to Amanohashidate (40 mins, JPY 1,420). The Japan Rail Pass and Kansai Wide Area Pass are valid between Kyoto and Fukuchiyama, but not between Fukuchiyama and Amanohashidate. Option 2: It’s infrequent but you can take the JR Hashidate Limited Express train from Kyoto straight to Amanohashidate. The journey takes around 2 hrs 10 mins and costs about JPY 3,880. 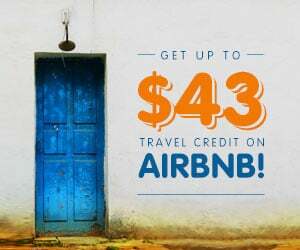 Option 3: The cheapest option is to go by bus. Tankai Bus operates two highway buses per day between Kyoto and Amanohashidate. The trip takes about 2 hrs and costs JPY 2,800. 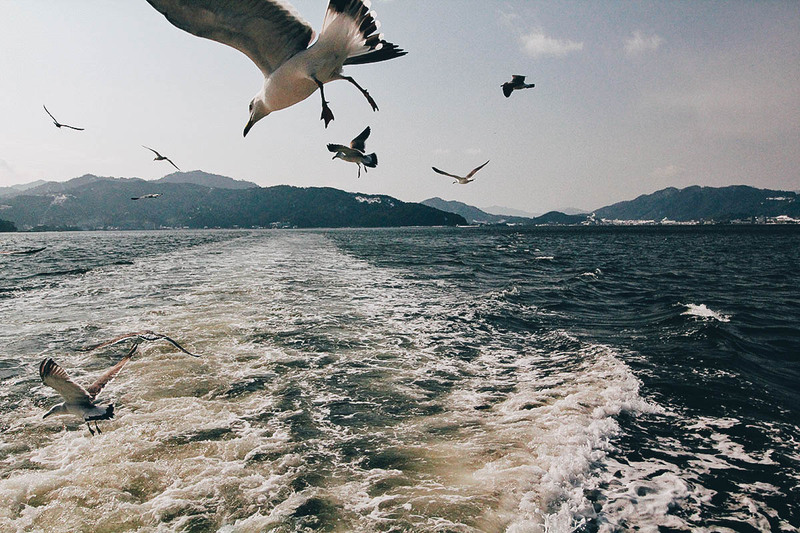 The fastest way to get to Amanohashidate from Osaka is by JR Train. Option 1: Take the JR Konotori Limited Express from Osaka to Fukuchiyama (90 mins, at least JPY 3,340, hourly departures). From Fukuchiyama, change to the Kyoto Tango Railway to Amanohashidate (40 mins, at least JPY 1,420). The Japan Rail Pass and Kansai Wide Area Pass are valid between Osaka and Fukuchiyama, but not between Fukuchiyama and Amanohashidate. Option 2: A cheaper option is to go by bus. Tankai and Hankyu Bus operate three highway buses per day between Osaka (Hankyu Umeda and Shin-Osaka stations) and Amanohashidate. The trip takes about 2 hrs 20 mins and costs JPY 2,650. This trip was made possible by Cebu Pacific Airlines and JR West. 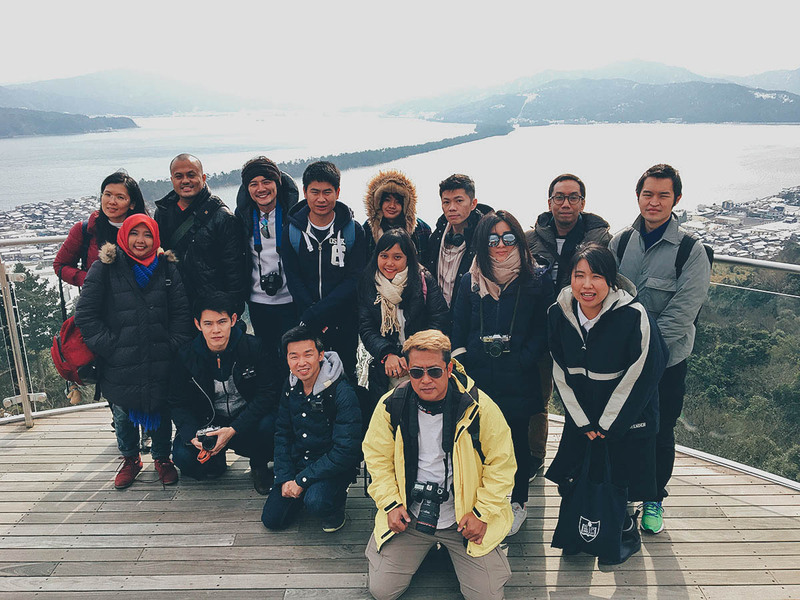 We were guests of JR West and taken on a FAM trip to promote Amanohashidate and Western Japan. As always, opinions expressed in this post are mine and mine alone.